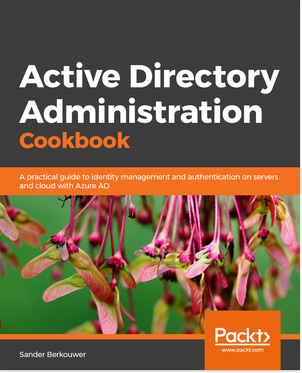 Last week, we discussed the new Active Directory Domain Services-related PowerShell Cmdlets in Windows Server 2012 R2. In the requirements I mentioned that you needed at least one system with the Windows Server 2012 R2 or Windows 8.1 version of the Active Directory Module for Windows PowerShell feature installed. However, as Aleksandar Nikolic (PowerShell MVP) pointed out to me, purely having one Windows Server 2012 R2-based Domain Controller with this feature allows other systems, including down-level systems as far back as Windows XP and systems without the Active Directory Module for Windows PowerShell to use these new Active Directory Domain Services-related PowerShell Cmdlets. PowerShell 2.0 is available by default on Windows 7. You can download the Windows Management Framework, which includes Windows PowerShell 2.0, WinRM 2.0, and BITS 4.0 for Windows XP with ServicePack 3 and Windows Vista with ServicePack 1. You will need to allow scripts, before you can successfully run the above. Type Set-ExecutionPolicy unrestricted to this purpose, before running the above two lines of PowerShell code. PowerShell 3.0 is available by default on Windows 8. After you download and install .Net Framework 4 or .Net Framework 4.5, you can download and install the Windows Management Framework 3.0, which includes PowerShell 3.0 and WMI 3.0 on Windows 7 with ServicePack 1. -PSSession parameter on down-level systems. Thanks to Aleksandar Nikolic for the tip!